New York Fight Exchange 4 saw some thrilling contests play out in the cage on Saturday - not the least of which where the prolonged battles fought between a bunch of guys who seemingly had no quit in them. 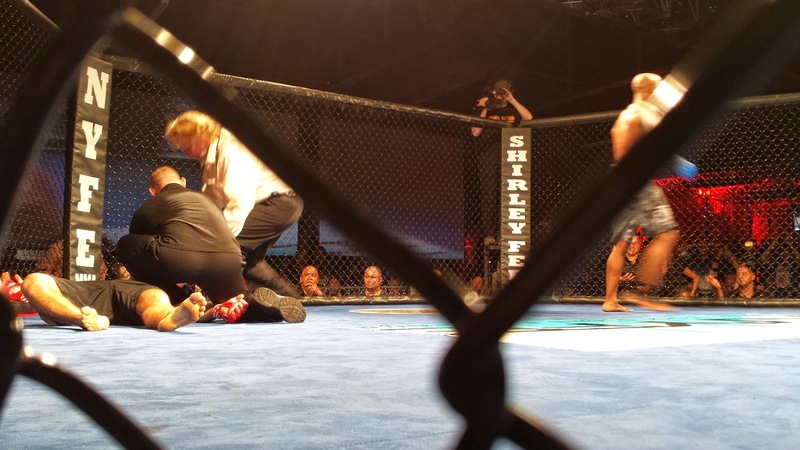 And then there was the war waged by Ronin Athletics' Adrian Czmielewski and Renzo Gracie-CT fighter Sam Watford. Round 1 was all about jockeying for superiority via wrestling, while Round 2 was... well, see for yourself.